The arguments before the bench of the Chief Justice of India, Justice J.S.Khehar, Justice Ranjan Gogoi and Justice R.K.Agrawal, began at 10.30 A.M. and lasted till 12.15. Abhishek Manu Singhvi (AMS) represented the petitioner, Chandrakant Kavlekar, the leader of the Congress Legislature Party. Harish Salve (HS) and Additional Solicitor General, Maninder Singh, represented the Union of India. AMS: The Governor cannot arrive at her satisfaction of whom to call to form the Government, without talking to the leader of the single largest party, prior to calling someone. I am on the process of consultation, not on natural justice. The Governor should have elicited from single largest party whether it is in a position to form the Government. There was no pre-election alliance. The outgoing Chief Minister lost from two constituencies. Six Ministers lost the elections. But the Governor ignores the loss of mandate and appoints the former Chief Minister, Manohar Parrikar as the Chief Minister. CJI: It is very clear from our Arunachal Pradesh judgment that the Governor has a discretion in situations like this. AMS: One day is a long time in politics and in Constitutional process of government formation. On 11th night, the results are out. On 12th evening, the Congress Legislature Party leader is chosen. Meanwhile, Parrikar is appointed as the Chief Minister. We have the signatures of 21 MLAs supporting us. Your lordships always hear the other side, before taking a decision. CJI: Sometimes, we don’t hear. May be, in future, we will. There is a nuance to be considered in issues like this. Only when issues come to us, we appreciate how the system should work out. If no political party is in a position to form the Government after the results, the Governor has to determine who can form the Government. If nothing happens, the Governor has to invite the largest single party. If somebody claims numbers, and if you don’t say what he says is incorrect, then the Governor considers that claim. You had enough time.even full night .Night is the best time (sarcastically).There is not a single affidavit from any member who support you. Justice Gogoi to AMS: You did not demonstrate to the Governor that you have the numbers. Convention of inviting single largest party is subject to numbers. AMS: Mandate is a facet of democracy, and therefore, a part of the basic structure of the Constitution. Can the mandate of people be nullified? It is a game of cat and mouse. BJP’s strength has been reduced from 21 to 13. It is obvious that there is no mandate for the BJP. Fifteen days window was given to Parrikar to prove majority, without asking me first. In case of narrow majorities, floor test must be immediate. Healthy Constitutional convention requires the Governor to call up the leader of the single largest party in the assembly. CJI: There is no question of most stable Government. If one has the numbers, others don’t. Only one can provide the stable Government. AMS: I assert I have the majority. CJI: You don’t deny that they have the numbers. AMS: It is not necessary for me to prove beforehand. The Governor should ask me. CJI: You could have taken 21 MLAs with you to meet the Governor. AMS: Parading of MLAs is a pernicious argument. CJI: Between not appointing a Chief Minister, and appointing a Chief Minister, which would you prefer, in a situation like this? CJI: You have conceded that the Governor did the right thing. AMS: My grievance is that the Governor did not consult me, though I have the numbers. AMS: Refers to Sarkaria Commission Report, Paragraph 65, on what the Governor should do in case of hung verdicts in the elections. 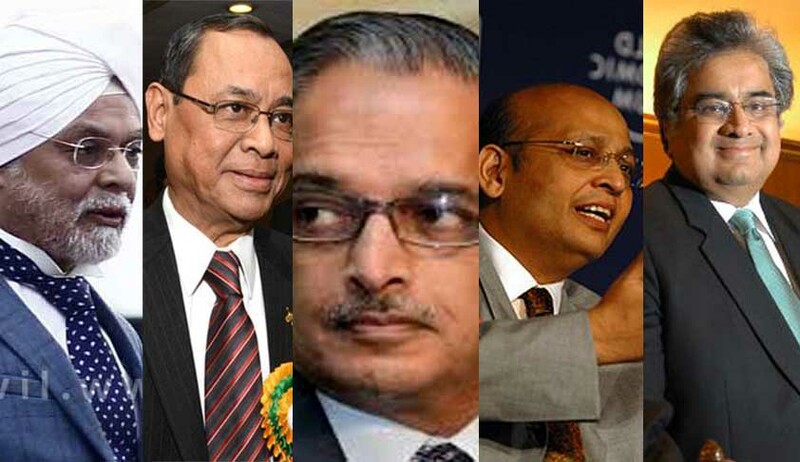 CJI: Has it been endorsed? You did not use the whole night. You don’t have a single affidavit, even now of the MLAs, whose support you claim. HS: Our 21 MLAs are with us. If Government falls, immediate floor test is necessary. The situation following the declaration of results is different. Oath-taking of members should take priority. Justice Gogoi: Floor test is possible after the House is constituted. Pro-tem Speaker has to administer oath. HS: No dispute about that. ASAP. AMS: Calling a second party first, and having a floor test lacks legitimacy. CJI: If both of you are sincere, propose a common name for the Pro-tem Speaker. Justice Gogoi: If House has to decide the Chief Minister, then Governor’s power becomes redundant. AMS: Refers to composite floor test, suggested by the Supreme Court in Uttar Pradesh and Jharkhand, and to Paragraph 119 of the Supreme Court’s judgment in Bommai case. AMS: Swearing-in is not a necessary precondition or floor-test. CJI to AMS: You are fussy about these things. A comma here, a full stop there. It hardly matters. We are doing everything for you. All the judgments you are citing are useless. Justice Gogoi to AMS: You want the floor-test before the oath. On what ground, we can stop oath-taking? CJI to AMS: You don’t have anything on the record. You want to implead the Chief Minister, who has been the Defence Minister of the country, but you are not impleading him. AMS: My purpose is to have a composite floor test, as this Court suggested in Uttar Pradesh and in Jharkhand earlier. That requires no government. If you have the government in place, before the vote, they will have the benefit. CJI : Starts dictating the order, after talking to the other Judges.